In order to increase the efficiency with which poor quality questions are closed, it could make sense to have weighted close votes for a small subset of qualified users. A very good way to measure the qualified users would be to leverage the tag badges. However, it needs to be rationally limited to a set of users that are knowledgeable with the subject. A very good way to measure the top users in a tag would be to look at those who have a gold badge in the tag. If two users who have a gold tag badge pertinent to a question issue a close vote, the question should probably be closed (or probably will be very soon under the current system). I think it would make sense to allow users with a gold tag badge to have a 3x weight for close votes in those tags. Please keep in mind, this isn't suggesting full moderator one click closure. It only adds weight to the vote. A single user could not do it on their own. These singular users cast close votes all the time, so that aspect would not change. Some will vote to close, some wont, but the ones who do should have a stronger weight to their vote. Even with 3x it will require 2 of said votes to accomplish, or still 2 other users (meaning 3 agreed it should be closed - which is the same amount of high rep users it takes to delete a question and that has a much greater impact than closure). Update: this is now enabled everywhere! You can instantly reopen any question closed as a duplicate that was originally asked with a tag you have a gold badge for. You can only close or reopen a given question once (this hasn't changed). If you get in a fight with someone over whether a question should be closed, moderators will be notified and they'll hit everyone with hammers lock everything down and tell you to go home. Remember: duplicates are questions that ask for a solution to fundamentally identical problems - many questions have similar or identical answers but are not duplicates. By the same token, many questions are asked using very different wordings but seek to solve identical questions - closing these helps folks find their way to a solution even when they don't know what terms to search for. Enjoy your mighty hammer responsibly! If you have a gold badge in your tag, you know what's been asked before, in several iterations, and where to find it. Therefore, we're going to be rolling out a change that gives you more power when it comes to handling duplicates, a chronic source of pain. If a question has a tag where you have a gold badge, and it was part of the original set of tags applied to the question, you can mark it as a duplicate with a single vote. Likewise, if you have a gold tag badge in one of the original tags of something marked as a duplicate and feel a mistake was made, you can re-open it with a single vote and (optionally) mark it as a duplicate of another (theoretically better) question. Same rules apply, you get only one close / re-open vote per question. 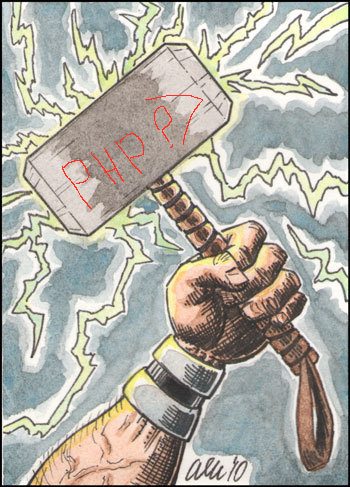 Additionally, if a question goes through two iterations of being opened and closed where this new 'Thor's Hammer' was used, moderators will get a flag alerting them to a contested duplicate. This is being deployed initially as an experiment, I think there's enough sanity here to prevent most abuse cases, and we don't really have a very large rate of incorrect duplicates. If this pans out well, we might consider giving gold tag badge holders more weight in other areas, and possibly considering silver tag badge holders. Smaller sites aren't going to care about this, and that's as it should be - they generally don't have the problem of being overrun with duplicates. I like this because it's a feature that becomes available as you begin seeing the problem it's designed to solve. Jarrod is working on it now. 1There are those that get them by providing a lot of crappy answers to duplicate questions. Closing these faster will become a sort of self-fulfilling fix for that. First, if we're gonna do this then let's make it worthwhile: 1 vote == closed, regardless of how many other votes or flags are in play. My biggest beef with close voting is the execution-squad attitude it seems to inspire among folks: "oh, I don't want to take responsibility for closing a question, I just want to be one of the mob throwing stones". If we're gonna give more weight to votes from folks who according to their past participation we should be able to trust with them, I want them to be taking that extra responsibility seriously. Second, this power should be based on the tags in the first revision of the question. I know, that cuts out a lot of potentially-useful effects when it comes to niche tags - but it also cuts out a ton of potential for abuse, without also making it a major headache to figure out what a given vote is actually worth. For the tags where this actually matters, it matters because they happen to also be the most obvious tags for a whole bunch of questions - if you want an answer, that is. Third, this has to apply to re-open votes as well. Philosophically, it's just the right thing to do - but it also makes sense from a practical perspective, since you can't undo a binding vote if you make a mistake or the asker fixes their post. Fourth, normal limits apply: you get a finite number of votes, and you can't vote twice, even if the post gets re-opened, even if you re-open the post. No gold member close-wars! Yes, that means the gold tag badge users on Stack Overflow could, in theory, close 92 thousand questions every day just by using all their votes. That's 10 times the number of questions SO actually gets every day. Think about that a little bit. 22,102 questions currently open with pending close votes would instead be closed. 145,843 questions currently closed would have been closed faster and with less effort needed from other voters. 90,722 of these would have been closed with a single vote. 34,837 questions currently open would have been closed instead of the vote aging away. Note that 11,677 of these went through review and were marked "Leave Open". 2,677 questions would have been closed faster, but then reopened anyway. 1,837 questions would have been reopened instead of the vote aging away. Note that 1,829 of these went through review and were marked "Leave Closed". 1,071 questions would have been re-opened faster, but then closed again. Note that during the past year on Stack Overflow, 362,220 questions were closed and 8,108 questions were reopened. I think this ends up placing a slightly arcane restriction on how sites can use tags, and gives an inordinate amount of influence to a small group of users who may not necessarily be reliably trusted with moderation. It changes the balance of a site significantly by linking two previously entirely unlinked systems. Consider Meta for a moment. (I know it's not completely analogous, but bear with me.) I'm pretty dern close to a gold discussion badge. I know a lot of other people have them as well. The problem is, the discussion tag is one of several tags which are most frequently used on Meta. Consider, for a moment, a site in which there are a few tags which are very frequently used. Users who attain a gold badge in those tags would, logically, be able to cast heavy weight on a significant portion of questions. That gives these users an inordinate amount of power in this circumstance. In this way, it limits what sites can and can't do with tags. It creates a multidimensional matrix of power balance - a question for each site becomes, "how can we balance tag usage with the power we give users?" This, I think, is a problematic question. You've taken two systems which are normally entirely dissociated from each other and linked the balance of power directly to them. While this isn't normally a huge issue, it has potentially unforeseeable consequences on a site for which tag usage differs, by consensus, from what we would expect in other sites. This should be enabled on a per-site basis. This means that, for a community to vote to enable this feature, they'd effectively be voting on the people, not the idea. This privilege carries a significant amount of power. This means that a very small number of users (for most sites, one or two) gain an inordinate amount of influence over other users' posts. Since most sites have a far lower question volume, there would be effectively no restriction on the number of weighted votes one could cast in one's tag area. This is a problem pretty much everywhere except Stack Overflow, and maybe Mathematics/TeX/Trilogy. High tag score does not necessarily correlate with high trust, in the same way that we have high-rep and low-rep moderators. This proposal links two previously completely unlinked systems. It gives a very small number of unelected users (with the exception of Stack Overflow) a lot of power over questions in their tag category. High tag score does not necessarily correlate with trust, which means that small handful of unelected users have the capacity to do undue harm to the community. While this is a good idea, on most sites, it upsets the careful balance of power that is community consensus. This is a significant problem. If you wanted to enable it on Stack Overflow, though, it might be a good idea to post it on Meta Stack Overflow - the community there will better be able to decide. Additionally, there are 13 tags with only 4 gold badges, 24 tags with only 3 gold badges, 48 tags with only 2 gold badges, and 174 tags with only a single member with a gold badge in that tag. There are roughly 38988 tags (1083 pages with 9 rows and 4 columns of tags on each page, according to https://stackoverflow.com/tags). In the high volume tags, there are many gold badge holders, so there should be balance. In the low volume tags, there are not, but they are no worse off under this proposal than they are now. They area of most concern is the tags where there are few gold badge holders and those members may hold undue sway. I'm assuming that any abuse will be flagged and dealt with appropriately; I don't know if this increased vote weight (or closing privileges in general) can be suspended/revoked from an account, but that would seem appropriate if there is abuse of this. After a long time study of how StackOverflow in general behaves on this subject, I think we should actually extend the possibilities for closing questions as off topic for gold and possibly silver badge holders. I do have currently a gold badge for cryptography & encryption but I can see this has limited effect on the site as most of the questions that should be closed are not duplicates. Currently hardly any cryptography related questions get closed at all. I'll leave this answer as it invites informed discussion and a counter argument to above view. Votes for this answer should still be for the old answer displayed below, which I do not support anymore. The problem is that most gold badges are for popular tags, mostly languages and runtimes on SO. And the gold badge holders are not automatically experts on all the different techniques. This will lead to false-positives, that are difficult to reverse. As an example: lets check my stats: I'm at over 600 for encryption right now and over 400 for cryptography. Nice, but after a lot of questions, not even near a gold badge. Now almost all of the crypto questions are also tagged with a specific runtime; if they aren't they are mostly off-topic. However, not everybody with a gold badge for - for instance - Java knows much about crypto. So you get an "expert" with a gold badge closing a question that can be answered (or, reopening one that cannot be answered). And the actual expert is helpless; the amount of traffic we get for crypto questions is currently already too low to close questions, let alone reopen them. Now I've just taken my field of expertise as an example; I do think there are many many of these "niche" tags and fields, and I assume (hopefully correctly) that most of the gold badges are for really popular tags. All in all, an interesting idea, but I don't think that this will work as intended. Not the answer you're looking for? Browse other questions tagged feature-request status-completed vote-to-close tag-badges dupehammer . Is there anything to stop a Gold Tag person editing a tag in to close any question they want? How can a question be marked duplicate by two users? Why a particular question is not closed immediately if one of the close voters have gold badge for a particular tag? Is the ability to unilaterally close/reopen duplicates for Gold Badge holders SO specific? High rep user voted to close as duplicate, but question remained open - wondering why? Rationale behind voting to close “Duplicate of..” causing the question to be closed instantly?